We still have an amazing deal on the The Rosetta Stone Language Box Set in the Geeky Gadgets Deals store, you can save 66% off the normal retail price. The The Rosetta Stone Language Box Set normally costs $449 and we have it available in our deals store for $149.99. There are four languages to choose from, French, Italian, Spanish and English. If your dream is to master a foreign language, there’s not better teacher than Rosetta Stone. With its intuitive, immersive method, Rosetta Stone will have you reading, writing, and speaking like a natural in no time. You’ll start by matching words with images just like when you learned your native language as a child. Then you’ll move onto interactive lessons where speech recognition technology works to evaluate and improve your accent with instant feedback. The reviews don’t lie, Rosetta Stone is the best way to master a second, third, or fourth language from home. 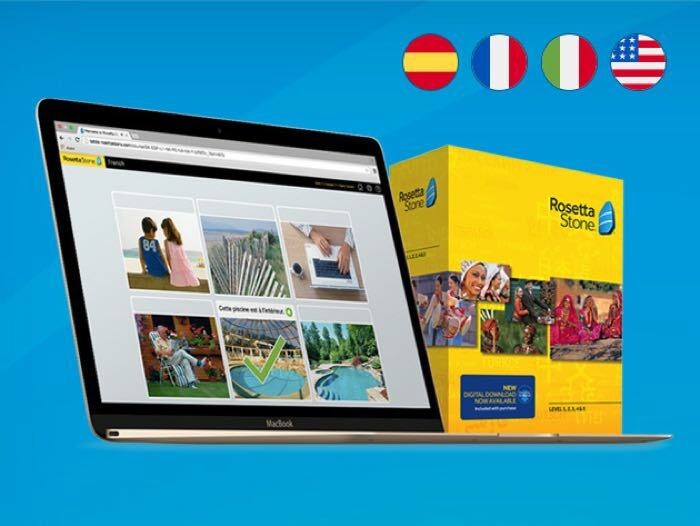 You can get your hands on this great deal on the Rosetta Stone Language Box Set over at our deals store at the link below.